Electrocardiograph (ECG or EKG [from the German Elektrokardiogramm]) is a transthoracic interpretation of the electrical activity of the heart over time captured and externally recorded by skin electrodes. Meet ANSI/AAMI EC-53 safety and performance demand. By both ready-made or customised connectors and receptacles, we aim to meeting safe, functional, sturdy, and unique needs. 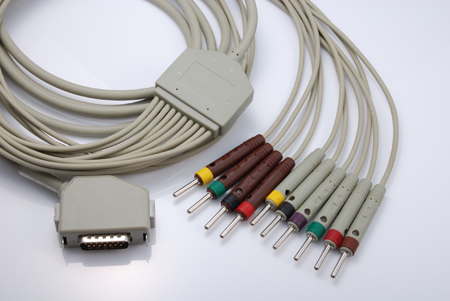 With your specific mechanical design of medical instrument/device, we can work with your idea and the desgin conditions to build your ideal instrument connector. 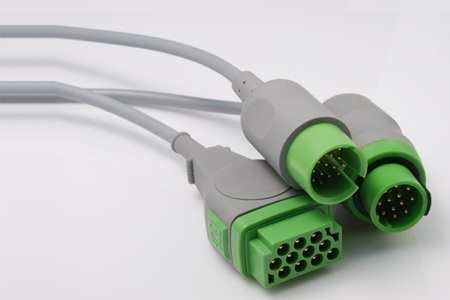 Available in several type cable systems such as Safty DIN, Twin Pin, Tru-Link, Multi-Link and so on, with 3, 4, 5, or 10-lead configurations which meet DIN 42-802 safety interconnection. 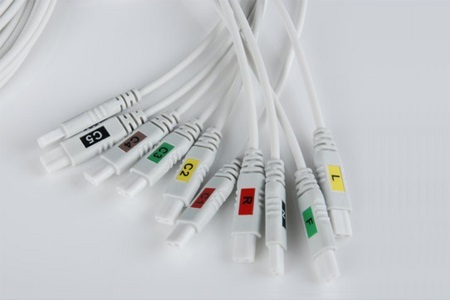 According to AHA, IEC color codes as lead position mark in trunk cable yoke and lead wire termination. Available in non-shielding and shielding design by requirement. There are copper wire and tinsel wire for your selection. Feature customised overmolding your logo/mark by design requirement. There are snap/stud, clip/pinch/grabber, DIN, and banana design for connecting medical electrode. For Holter or portable device, We can have you compact design of medical electrode connectors. 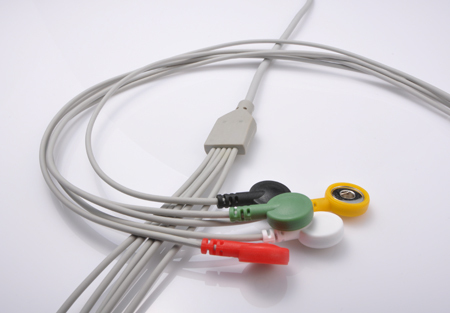 Welcome OEM/ODM your ECG/ EKG Cables and find your solution.